Customers with a relaxed approach towards their credit card payments are preferred by all the banks as well as credit card companies. Usually these customers are least bothered about the interest rate they pay or their credit card usage or their overall monthly credit card usage. Banks roll-in profit from these types of customers rather than those paying their monthly installments in time. In this article we are going to discuss the most common mistakes that all the credit card holders do at one or other stage of life. One of the most common mistakes made by the credit card holders includes cash withdrawal from these credit cards. You may not know but most of the credit card companies charge you 2% to 3% straight away for withdrawal of cash and these companies also charge the interest without giving the average 50-day period as is the case with other credit card usage. Moreover most of the banks charge you a comparatively higher APR rate in these scenarios. Most of the people have a tendency of missing the monthly payments consciously or by mistake which results in the additional ‘missed payment’ charge from the bank. Make sure to pay at least the minimum amount of debt to avoid this additional charge. Although this fee is reduced in the recent years but still why should you be paying this additional money to the bank. In case you have a habit to forget paying the monthly bill then make sure to set a direct debit payment to your credit card for avoiding such charges. Your Personal Financial Mentor can also guide you how to effectively plan your repayments in order to avoid the extra charges. In many instances people end up paying more fees because they carried the wrong credit card on their trip. It is quite a common thing observed by most of the people and most of the banks have huge amount charged as fee from their customers on account of fees charged due to the usage of credit card on trips. It is better to look out for certain credit cards which are especially designed for trips and are even offered by different holiday package companies. People often use wrong credit card for long-term borrowing so as to avoid visiting the local bank. It is really hard to understand that why people use their credit cards for long-term borrowing and pay a high APR of 12% when there are so many cheap loans available in the market. The market is full of cheap loans with an interest rate of 5% to 6% and there are some that charges even lesser amount of the fee. Most of the credit card companies love the customers paying only the minimum amount of payment so that they have these customers for longer period and hence receive repayments with higher interest rates. 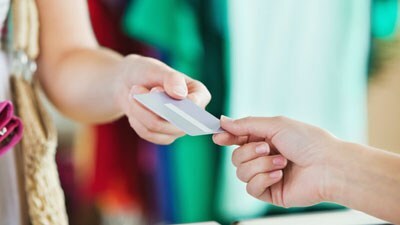 These are some common pitfalls in which most of the credit card holders’ tend to fall. But these mistakes can be easily avoided and you will never have to give your extra salary to the bank. « Why is it Important to Have a Good Credit?